Used 2000 BMW M5 Base for Sale in Denver CO 80220 Weisco Motorcars, LTD. 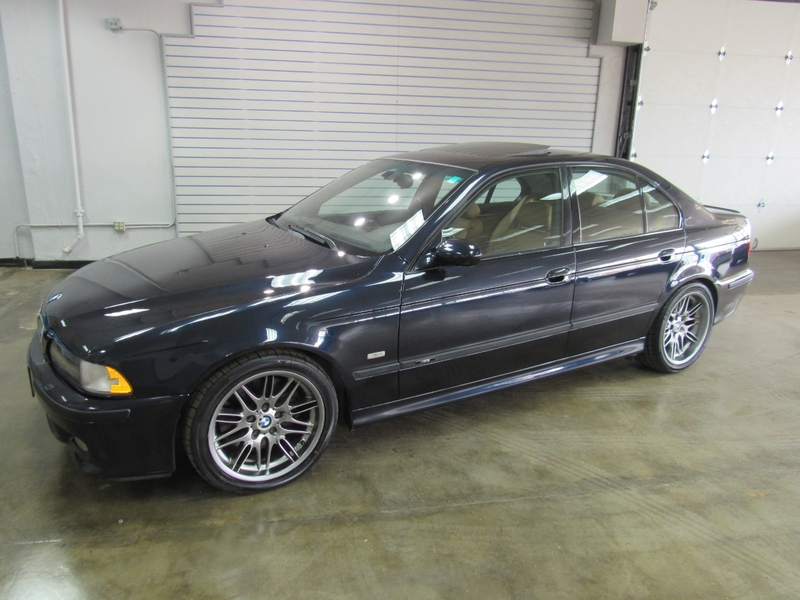 Very hard to find 2000 BMW M5 sedan with only 100k miles done in Avus Blue Metallic over Saddle leather. The M5 has the 4.9L V8 good for 400HP and has a 6-speed manual transmission that make for one very fun and fast sedan. Has nice options like: Navigation, keyless entry, sunroof, wood trim, heated seats, suede headliner, power windows, and much more. Both the body and paint are in very nice shape with no door dents and has new tires on the BMW M-wheels. The inside is also in very nice shape with no wear on the seats and has not been smoked in. Call Weisco Motorcars for more info or to set up a time to stop by for a test dirve as this M5 will not last long. Message: Thought you might be interested in this 2000 BMW M5.